With the revolution in technology and especially in the world of smartphones, using dual sim phones has its own benefits depending on user to user and their requirements too that include looking for a good network coverage, additional features, making the most out of different tariffs and that too in one single gadget. All of them have their own benefits and can be used as per the user requirements. Dual Ownership – There are a lot of people who do require more than one contact number in their daily life but to carry more than one device at every place is not at all convenient. With dual sim smartphones, one gets an option to use two different tariff plans simultaneously in a single gadget and get a lot of other benefits plus full network coverage. Automatic voicemail service – Let’s suppose you are communicating using one sim, SIM 1 and someone is calling you on the other sim which is your SIM 2, the latter will automatically get your voicemail so you won’t lose any valuable information. Dual-SIM mobiles mostly allow communication on one single line at a particular time phase. All your missed messages are secured in a particular storage and you can access them easily anytime you want. 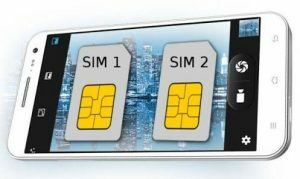 Permanent SIMs – Dual SIM smartphones have both their SIM cards permanently active at a time and, when you are using one of them, the other still works simultaneously and receive calls, messages or data either in the device or in the voicemail. When it comes to storing data and files, you can manage the storage options in your dual-sim mobile phone quite conveniently. Having two cards allow you to store the phone numbers in one and your important files in another as back up. You can always use the SIM in another phone if you need the data there and don’t have to go through the entire process of transferring it. Convenient to Use and Port – Without a rate per month or agreement plan with the provider, you can use whatever amount of information, call time, and texts messaging you have bought in your tariff plan while being free to use or change any plan of your choice on the two SIM slots with SIM cards of different service providers worldwide. Just make sure you are buying a SIM card from a big service provider of your country who will give you good protection and better network coverage too. 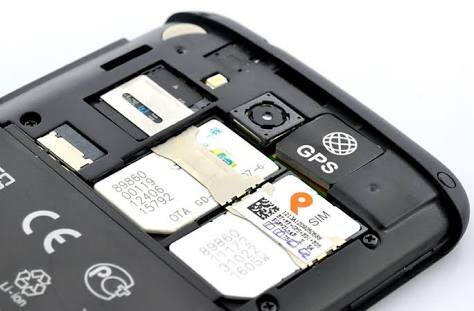 Global roaming– For someone who travels a lot to foreign countries, a dual-SIM smartphone is a much more convenient way to keep receiving messages. When you travel or move to a another nation, all you need to do is get a local SIM of that country and pop it in the second sim slot to avoid any international roaming charges. This way, you can use the local plans effectively and you don’t have to give up on the messages and data that you already have. This tip is useful even for trips of short duration. Although, choosing the right SIM card is an important aspect, it’s the right dual-sim smartphone that matters the most when it comes to enjoying all the advantages of using two sim cards. Always ensure that your smartphone must support voicemail service so you won’t lose any information. You might experience dual ownership benefit with any device but to make the most out of two SIM cards, one has to choose the smartphone wisely.